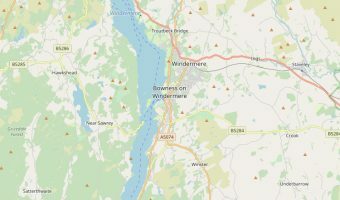 Lakeside is situated at the southern tip of Windermere and is best reached by taking a cruise with Windermere Lake Cruises. Here you’ll find the quayside terminus of the Lakeside and Haverthwaite Railway, and the Lakes Aquarium. Map showing location of Lakeside.